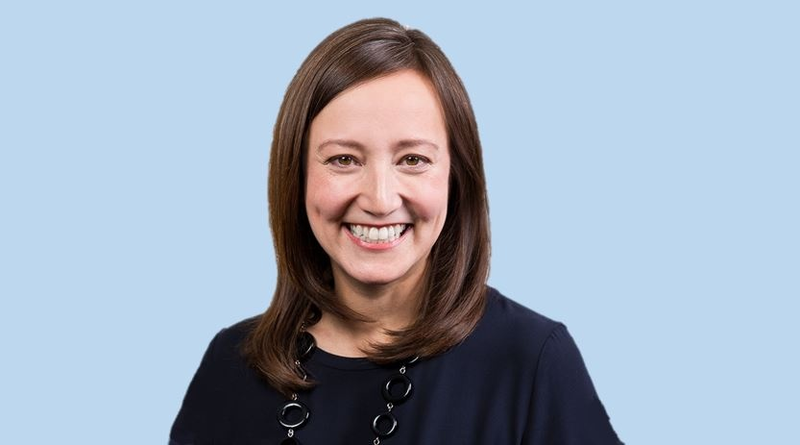 Gabby Wong, President and CEO: I’ve spent the better part of my 25-year career focusing on the nexus between business transformation and leveraging enterprise-class technology to solve complex business problems. I started my career in management consulting at PriceWaterhouse (now PwC) and then later transitioned to Deloitte Consulting’s strategy and process practice, where I leveraged customer analytics engines to help Fortune 1000 clients drive new offerings, transform operations, and grow revenue. Through my work in management consulting, I discovered a passion for innovation and enterprise technology, which led me to the world of private equity-backed software and high-growth technology companies. I have worked extensively with technology solutions in the areas of customer and performance analytics, customer success, and customer experience, and led large global operations for several successful, high-growth software companies, including Primavera Systems (now Oracle), Trusted Computer Solutions (now ForcePoint), Verint Systems, and Clarabridge. I see customer analytics, and understanding the customer’s and market’s viewpoints, as central to driving business growth and performance improvement. This philosophy has underpinned my time at FranConnect, where upon joining as the EVP of Customer Operations in 2016, I led the team through a transformation project with the goal of improving customer focus and better scaling customer success. This transformation has been a critical factor to FranConnect’s growth over the last two years. In 2019, I moved into the new role of President and CEO. What is FranConnect in a nutshell? Wong: FranConnect’s mission is “to partner with the franchise market to the grow successful franchise systems”. Our view is that franchise brands can’t grow unless the units themselves grow. It’s an ecosystem where successful brands don’t only focus on unit count growth, but unit-level performance and optimization, in order to scale the system. We do this by offering innovative, proven technology products and solutions that support the key metrics of building a successful franchise brand, including selling and expanding new franchisees, improving unit operations and performance, growing revenue streams, ensuring brand consistency, and ultimately driving the rapid expansion and penetration of the brand. Also critical to the growth of any franchise brand is the relationship between the franchisor and franchisee. Our solutions support building an improved dialog and franchisee engagement. All our products and services focus on driving successful outcomes for the system, whether it be more units, revenue, profit, or growth. Wong: Yes, FranConnect is 100% cloud-based platform, hosted-to-scale on Amazon Web Services (AWS). We've invested heavily in our products over the last two years to ensure that we are providing new capabilities and significant improvements to our users and that we are architected to take advantage of a world-class hosting environment like AWS. Our CTO is a pioneer in SaaS enterprise architecture and our head of product strategy is a noted technology strategist in analytics and retail solutions. Recently, we've received the “Well Architected Certification” from AWS, which not many vendors achieve. As a critical partner to the franchise market, we are committed to ensuring that our product is highly interoperable, available, scalable and secure. As we continue to grow and innovate our product capabilities, we are also committed to ensuring that our products are fully mobile accessible. We understand that the distributed franchise user workforce is “on-the-go” and need access to our platform from anywhere. We have three apps in the marketplace—FranConnect Sky, FranConnect Field Operations, and FranConnect CRM. We also continue to invest in FranConnect’s analytics function. In 2019, we will add new analytics products that underscore our vision to serve as the “Command Center” for visibility into the performance of the system. These products will allow franchise brands to derive actionable insights from enterprise-wide data. Moving beyond simple reporting and dashboard views, we’ll deliver the capability to define operational playbooks based on performance attributes and define workflows targeted to key stakeholders. How did you get to become the President and CEO of FranConnect? Wong: Yes, it’s interesting. I think it’s a testament to how important the “Voice of the Customer” has become in driving a successful business. I’ve been in the business 25 years and it’s uncommon to go from a customer success or service role to the CEO role. Organizations now see that the customer is front and center to driving growth for the business, not only in how the customer is serviced, but also in ensuring that customer value and market feedback is incorporated into the future direction of the company and product innovation. In my role as EVP of Customer Operations, over the last three years I’ve had opportunity to see and understand the customer needs, where the market is headed, and identify gaps in our offerings. Our investors recognized that opportunity and, alongside our management team, asked me to take the lead to put together a multi-year growth and business plan. Upon its approval, they appointed me to my new position. What does FranConnect focus on? Wong: FranConnect focuses on growth. Our core mission is growing brands. Our customers grow faster than anyone in the market. We’re also a high-growth company ourselves. That’s what I love about this market – our customers are just like us and it creates a high-empathy relationship. We’re entrepreneurs, growth-minded, and nimble – and our customers are too. The third element of growth is the growth of our people. Being part of an entrepreneurial company means that our employees get so much more in terms of their own career growth. How has FranConnect evolved since you've been on board? Wong: We’ve achieved a lot of growth and transformation over the last couple of years to be sure, in all areas of the business, but that is an outcome of how we have evolved our focus, strategy, and corporate culture. What do executive conversations focus on at FranConnect? Wong: Our conversations focus on three key areas—our customers, our employees, and the future of the business and the Franchise market. First, we work hard to embed the Voice of the Customer in all our decisions, from what we include in the product, to our future road map and vision, how we adapt and change our service experience and ultimately how we reward our employees. We gather extensive customer feedback through regular survey instruments and the robust data we capture as part of our service transactions across all channels of the customer journey. We have standardized on Net Promoter Score (NPS) as a metric and all areas of the business are tracked, measured and rewarded based on customer feedback. More important than the score itself, we look at the actual comments and feedback itself and do extensive follow-ups to ensure that we understand the customer feedback, negative and positive, so we can improve the customer experience as a business. This doesn’t mean that we are perfect—we are constantly looking to improve our customer experience—but it does mean that we listen and work hard to drive business decisions based on customer feedback. Second, as an Executive Team, we talk a lot about employee growth and ensure that we provide an experience and opportunity for our employees to learn, grow, and challenge themselves. We hold regular employee feedback sessions and conduct surveys to understand how we can improve the employee experience. This becomes a critical input to our budget, planning and investment processes, but also becomes a regular topic of conversation as part of our quarterly employee recognition programs. Last, is the future and where we need to focus innovation and how that helps our customers and employees succeed. We also look how, as a key player in the franchise market, we can help drive that market forward through innovation. What drives value for franchisors? Wong: It would be easy for me to sit here and say, selling more units, driving a system revenue, driving unit profitability, faster market penetration. Certainly, these are all important, top-line metrics franchise brands are trying to achieve. That said, at the core of that is information, prioritization, and actionability. That is where I see the value of a technology solution like FranConnect. The franchise model is unique in that it’s both a B2B and B2C relationship. It’s also a distributed model where accountability is dispersed (geographically and through complex ownership structures and relationships), but growth is aggregated. The whole needs to be greater than the sum of its parts. As a technology provider to the franchise market, our value comes from driving improved connectivity of information across the distributed value chain and providing brands with the capability to consolidate that information, improve planning capabilities, and drive standardized operational processes to improve overall system performance. How were you able to scale? Wong: Scaling is a function of mission, strategy and focus, process, measurement, and people. It starts at the very top. Everything stems from our core mission and foundation. From there, you must think about the strategy and how you want to execute it over multiple years. You can’t scale by only thinking tactically about the problems and opportunities right in front of you. So, we start with a multi-year strategy and then translate that into how we design our business processes and operations in support of that strategy. Metrics and data are critical. You can't undergo any major scaling exercise without access to data and metrics to help you determine whether you're achieving the planned transformation. Then people. Change or growth is impossible without aligning your people. They must understand the mission, strategy, and the process. They must understand the “why?”. Also, we use a set of operational scorecards and a metrics book run by our FP&A function to monitor whether we are driving the right behavior and making the necessary changes. How do you keep growing big? Wong: That's a great question. “Growing big” means “thinking big.” In order to “think big,” it is important for me to carve out space in my calendar to process customer feedback, market feedback, employee feedback, board feedback, as well as take input from mentors, peer groups, and my executive coach. I need an equal amount of time focused on collecting external feedback, but also processing time to think and to be “mindful” of where we need to go as a business. I am a part of a CEO Group run by Steve Gladis where we meet monthly and discuss and joint problem solve important issues facing CEOs. Steve is an amazing executive coach, thinker, writer, and speaker on executive leadership. How do you know you're doing the right thing? Wong: The obvious answer is to say that our results and metrics tell us that we’re achieving our goals – but that's very tactical and quantitative. I always say that it is just as important “how” you accomplish something as “what” you accomplish. It’s about the experience. When I look around our office and I see people dancing (literally) in the hallway, or I see people helping each other when they're already busy working on their own projects, or regularly celebrating each other’s successes, then I know that we are doing something meaningful. That is how I know that we are doing the right thing. It's not about just what we achieve, it's how we achieve it and the experience that we're providing along the way. What kind of leader are you in the franchise space? Wong: Mindful and grateful, which are underrated attributes of a successful leader. Mindful of the market needs, of where we are and where we need to go. Grateful to be a part of a market that celebrates thought leadership, entrepreneurialism and growth-thinking.